Kailyn has officially given her son a name over a month after his birth. 'Teen Mom 2': Kailyn Lowry finally decided on the name Murphy Nixon. "Teen Mom 2" star Kailyn Lowry has officially revealed the name of her newborn baby boy. The baby, which Kail has been referring to as "Baby Lo" since his birth five weeks ago, now has a name. As many fans know, Kail struggled to name her third son, and brought him home from the hospital without a moniker. In the weeks since his birth, the MTV mom has been trying to figure out what her youngest son should be called, and it looks like she's finally decided on the name Murphy Nixon. According to Kailyn Lowry's Snapchat, she's named the baby Murphy, a name she's admitted to liking in the past. Kailyn's other sons, Isaac Elliot Rivera and Lincoln Marshall Marroquin were both named at birth, but Baby Lo took quite a bit longer to figure out. Lowry and her baby daddy, Chris Lopez, seemingly agreed on the name on Wednesday, after the "Teen Mom 2" star posted on social media asking followers for their opinions. Later, she revealed a photo of her newest little bundle of joy sleeping, with the caption, "Murphy Nixon." What's Baby Lo's last name? There is currently no word on whether or not little Murphy will have his mom or dad's last name. Kailyn's other two children both have the last names of their fathers, and since Chris Lopez is in the picture and helping out with the baby, it seems that Murphy's last name could likely be Lopez as well. The "Teen Mom" has been calling him "Baby Lo," but fans were unsure whether or not the "Lo" was short for Lowry or Lopez. Meanwhile, Kailyn Lowry seems to be settling in to her role as a mother of three, and has assumed her daily parenting tasks since giving birth. 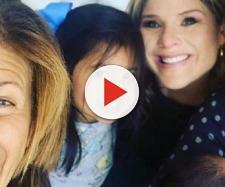 The "Teen Mom 2" star has been sharing photos and videos of herself taking her children to school, breastfeeding, and heading to after-school activities such as karate with her boys. While Kail's other sons Isaac and Lincoln have different fathers, they both spend time with Lowry's ex-husband, Javi Marroquin. Javi helped raise Isaac and has a strong bond with him. However, Marroquin has made it quite clear that he will have no personal relationship with Kailyn's third son, Murphy. Kailyn and Chris getting back together? Lowry also shared a photo of Chris Lopez on daddy duty, and rumors are swirling that the pair may be getting back together since welcoming their first child together. While Chris Lopez has refused to appear on "Teen Mom 2," he has reportedly been there to spend time with his son. Chris has been actively posting about his baby boy via his social media account, although many of the posts have led to speculation about his relationship with Kailyn Lowry. Only time will tell what the future holds for Kailyn, Chris, and baby Murphy Nixon.